Invesco introduces the Invesco Interactive program, designed to put you in touch with Invesco’s senior investment managers for candid, timely discussions on macro events, industry trends and the implications for investors. Oil prices have plunged over the past several months, but investment opportunities are bubbling to the surface. Our panel of experts will discuss their views on the energy sector. Bond yields remain low despite previous expectations that they would rise this year. Stocks have been largely resilient despite economic weakness. Clearly, the global recovery isn’t following a set script. As investors look for cues to their next move, where are the hidden risks and the unseen opportunities? 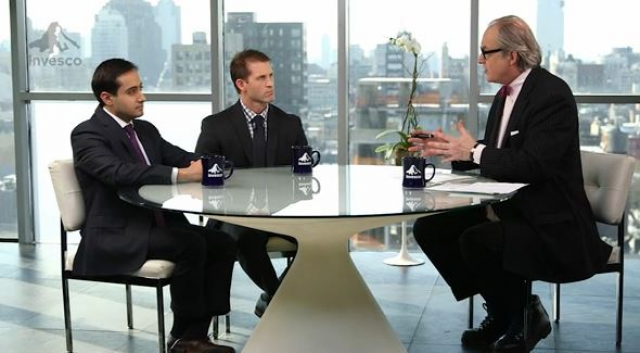 Find out what our panel of economic, equity and fixed income experts think. When interest rates rise, traditional bond strategies will come under pressure. Now is the time for investors to evaluate new approaches for generating income, while at the same time providing growth potential.